Liberally grease an 8x8 baking dish with nonstick cooking spray. Place the King's Hawaiian rolls in the dish. Sprinkle the brown sugar and pecans on top of the rolls. Whisk together the butter and corn syrup, and pour evenly over the rolls. If needed, use a spatula to make sure the glaze covers all of the tops of the rolls (there shouldn't be any dry brown sugar). Spray nonstick cooking spray on a piece of foil. With the greased side down, cover the rolls. Bake for 22 minutes, until sauce is bubbly. Serve warm. Optional: beat together the icing ingredients until smooth (don't worry, the sugar will dissolve after a few minutes and will not be granular any longer). 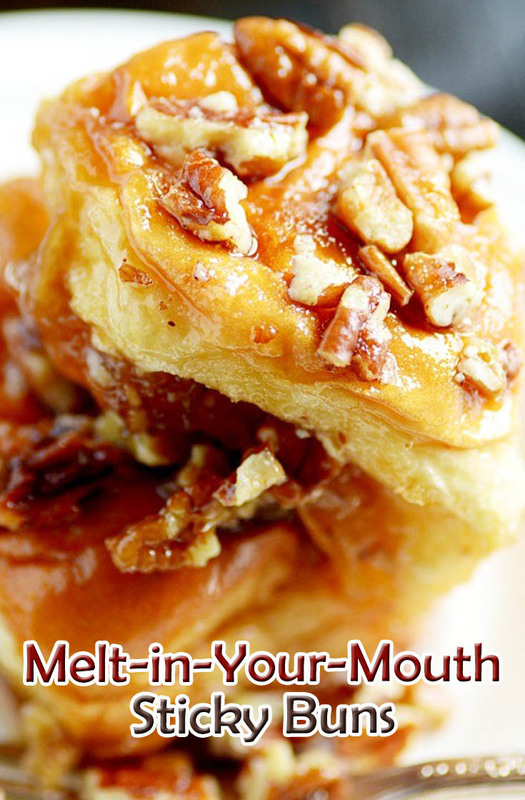 Spread or pipe over the sticky buns.